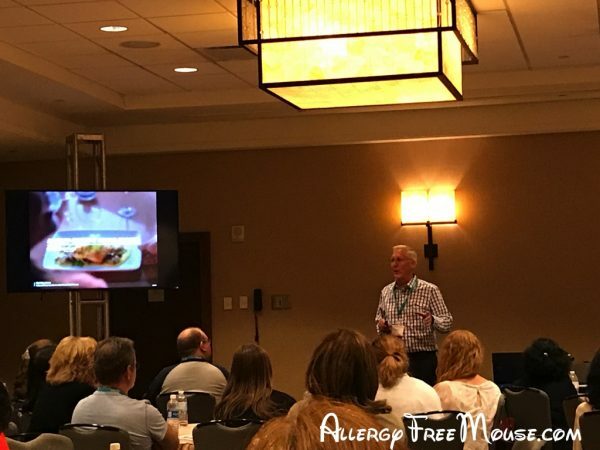 Disney’s Culinary Dietary Specialist for Walt Disney Parks and Resorts, Chef Gary Jones spoke at the FARE National Conference in San Antonio. He gave a great overview of just how many meals they serve including 750,000 food allergy meals. He also discussed the basic process for making reservations 180 days in advance and to note your food allergy on each reservation. You can indicate that you have the top 8, plus corn. They added corn based on feedback from the Special Diets team who receive a lot of requests for corn allergies. If you have other allergies, a complex set of allergies or PKU needs, it is suggested that you call and speak to Special Diets, 14 days prior to your trip. He stressed that you should discuss your food allergies when you arrive at each restaurant. He wasn’t specific about which Cast Member, but we recommend you tell everyone, starting with the host or hostess, the server and anyone who may handle drinks. He also recommended speaking with the chef if you have any questions, and also stressed that the chefs love to do it. He explained the logistics of the chefs coming out to meet with visitors and that, on some days, they were spending more time on the floor than in the kitchen, especially during peak times. 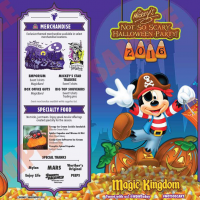 Since this prevents the chef from actually cooking, they instigated the food allergy friendly menus and asked Cast Members to suggest their use. However, he again stressed that the Chef will always come out if you ask, and suggests that you ask if you have any questions or concerns. In fact, the chefs insisted that this be recommended at the top of the food allergy friendly menus. Additionally, we suggest that you review the online versions before you go. 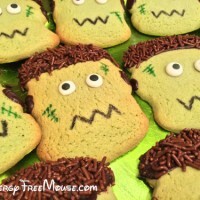 Sometimes the food allergy friendly versions are on the Disney site, but you can also find them here, at the Disney Food Allergy group on Facebook or via Google. While they may change a little by the time you arrive, you will still have a good idea what to expect when you arrive and it can help you with your conversation with the chef. Chef Gary also discussed the process when you travel on Disney Cruise Line. 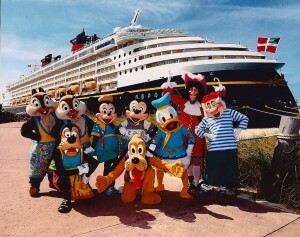 Essentially, your food allergy requests should be sent to the DCL Special Diets team 14 days before you sail, so they can have everything on the ship. He didn’t mention it, but there is also a Dining Session on embarkation day. 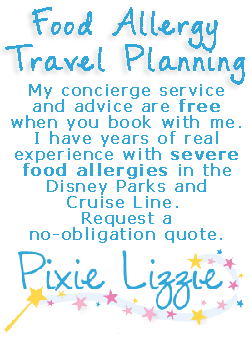 See more of our Disney Cruise Line food allergy tips. Chef Gary also discussed a few disclaimers. This included a discussion of the kitchen and that each one as a special prep area for food allergy meals. They do not have separate kitchens. They do have fryers that are peanut and gluten free, but there are no separate kitchens. In the area designated for food allergy prep, they do have dedicated utensils, and other items used just for food allergy meals. But sometimes the dedicated area has to be cleaned and prepped when you arrive, since it may be used for other purposes. One of the attendees asked about requesting specific brands of foods. Chef Gary said that they have certain specific brands, but those can change. However, specific food brands cannot be requested except in very rare circumstances. Additionally, the chef always knows which brands he has available. Chef Gary didn’t mention it, but we’ve actually reviewed an ingredient list, cut from the box by a chef when we requested it. They can also discuss and “may contain” labeling the food products on hand may have. Next, he discussed bringing your own food. You can bring it, but Disney cannot store it, keep it cool and prepare your meals with it. He also had a quick discussion about fryers. While they don’t use peanut oil, the oil they used is a mix that includes soy. So, the french fries do contain soy. He also said they are constantly looking to change that, including possibly using highly refined oil, which is supposed have the allergens removed. However, since the science is not yet clear on highly refined oil, Disney does not use it. Next, he discussed a new process that is coming soon for buffets. Currently, a chef may offer to walk you through the buffet to explain what is safe or can be modified for you. Then, the chef gives you the option to pull from the buffet or he or she can prepare it fresh for you. For cross-contamination concerns, we recommend the chef prepare it. Coming soon are food allergy guides for buffets. He explained some testing they did, using signs on the buffets. But said they ultimately decided it was too problematic. 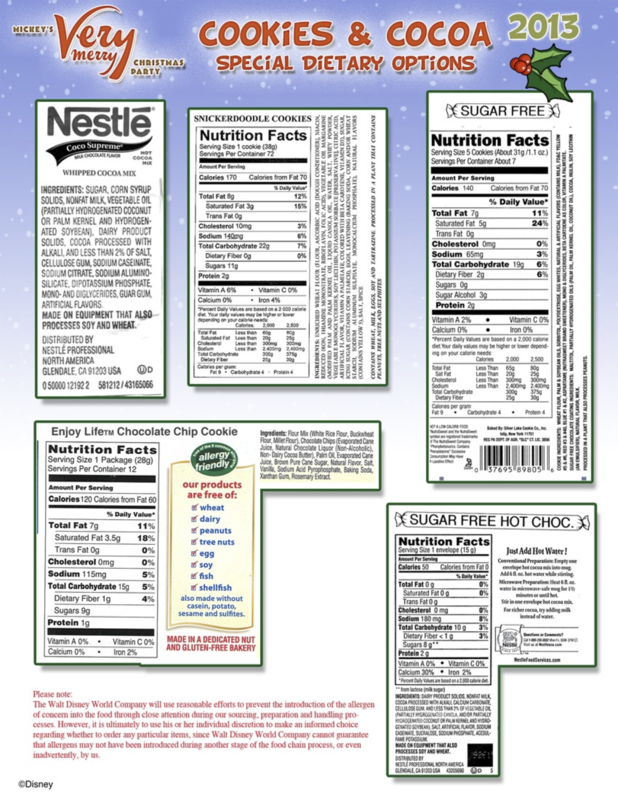 So, they developed the guides that explain all of the items and the allergies for which they are safe. Then, you have the option to visit the buffet or speak to the chef to have it prepared fresh. Chef Gary stressed that they are just guides and do not replace the interaction with the chef. There was also a discussion about kiosks. There is one in Animal Kingdom that has pre-packaged food allergy friendly snacks. Update: Unfortunately, this location no longer has food allergy snacks. He also discussed the logistics of food kiosks, like those in Epcot at the Food and Wine Festival. The food in these kiosks is prepared in a kitchen far away and transported to the kiosks, where many opportunities exist for cross-contamination. And while there are managers in the various kiosk zones that can answer questions and even possibly have food allergy safe alternatives prepared, it does come with some risk. 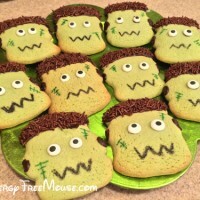 However, they have made some gluten-free options available at some kiosk locations. Afterward, Chef Gary stopped by our table. We discussed some of our favorite chefs and that they are almost like aunts and uncles to our daughter and more important the Mickey Mouse to us. He confirmed that they are all very passionate and love the interactions with guests and getting to know them over the years. Mickey’s Not So Scary Halloween Party is always a blast that starts on select nights in September and continues through the big night — Halloween. 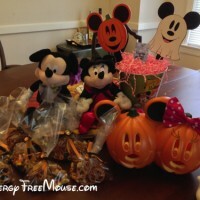 Food allergy friendly treats are available in a few locations around the Magic Kingdom. We were contacted by many of our readers about a little boy that was asked to leave a flight because he was allergic to dogs, and one happened to be on the flight. The plane returned from the runway to the terminal and, sadly, the other passengers applauded as he and his family exited the plan. Here is the full story as reported by KTVB News in Washington. As mentioned in the news story, Giovanni and his family traveled to Bellingham, Washington, because his father, George Alvarado, wanted to visit as part of his “bucket list” — he has terminal throat cancer. The reaction by Allegiant Airlines and the other passengers soured what was supposed to be a trip of fond memories. We want to send this boy and his family on a Disney Cruise and we’re turning to our food allergy community to help, since we all know what it’s like to be excluded from activities, including flying on certain other airlines, due to allergies. We feel a cruise, also on George’s bucket list, would help make up for the mental anguish caused by Allegiant and some of their customers. 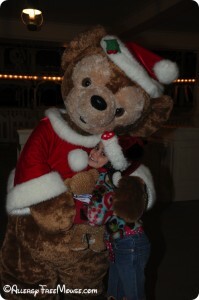 Plus, Giovanni can meet Pluto on a Disney Cruise, a dog he isn’t allergic to! Help us make this happen. As you can imagine, time is of the essence. Please visit our GoFundMe page and make a donation. We can show Giovanni and his family that the allergy community is very supportive, when others may not be. EpiPen® On Location™ is coming to Walt Disney World’s Epcot International Food and Wine Festival this fall, including live chef demonstrations on October 2 – 4. This will be an exciting addition to the festival for those of us with food allergies in our families. We don’t usually attend, since it’s a lot of food sampling that our daughter cannot have. 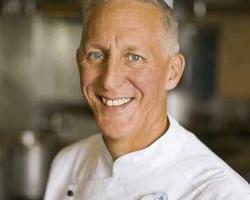 But this year, we are beyond excited about the food allergy chef demonstrations. The EpiPen® On Location™ program is a national call-to-action for those living with potentially life-threatening (severe) allergies and their caregivers to understand the importance of avoiding allergic triggers and having access to two epinephrine auto-injectors, such as EpiPen® (epinephrine injection) Auto-Injectors, at all times — whether at home, school, work or on vacation. EpiPen® On Location™ Program Ambassadors Chef Amanda Freitag and “Girl Meets World” actor Auggie Maturo will be at the festival sharing their stories and tips for food allergies. More about the event can be found at the EpiPen On Location website. 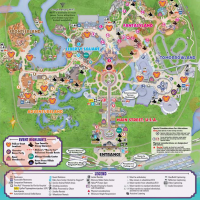 Mylan recently announced a multi-year strategic alliance agreement with Walt Disney Parks and Resorts to help enhance access to EpiPen® Auto-Injectors and increase awareness of anaphylaxis, a life-threatening (severe) allergic reaction. EpiPens are now available at all Disney Parks and Disney Cruise Lines ships. Please note, you will need admission to Epcot to attend the International Food and Wine Festival. 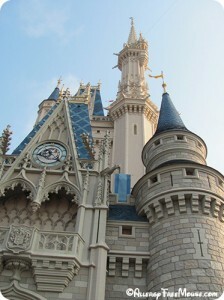 Contact PixieLizzie.com for tickets and accommodations and to learn more about how to visit Disney with your food allergy. 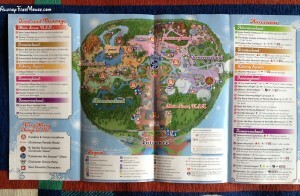 We just received this from Disney World’s Special Diets team, in preparation for our upcoming trip. 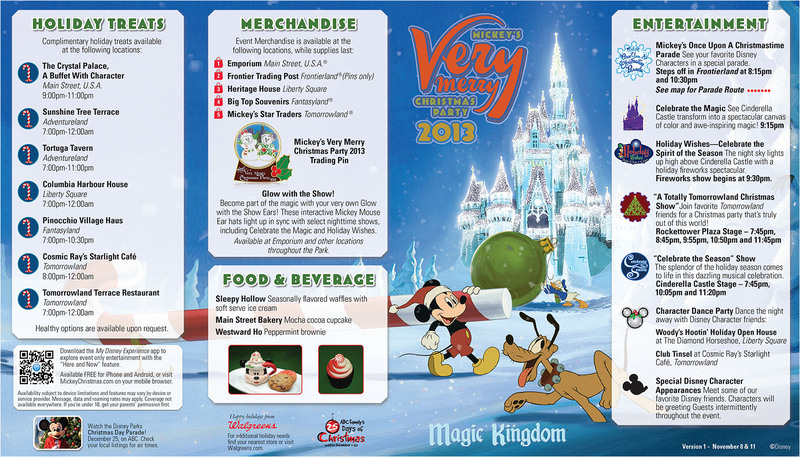 This will be our second MVMCP and it’s doubtful that we’ll take advantage of these food allergy safe treats, because we’ll be having too much fun! The party is such a blast, with all of the special events and low crowd conditions. 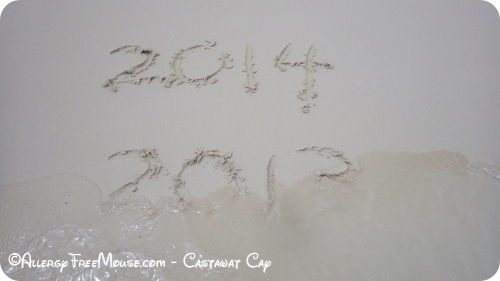 We really had a great time two years ago, but there was so much to do that we couldn’t do it all. So, while we probably won’t be stopping for food allergy free treats, it’s so nice to know they are available. Here’s the list. 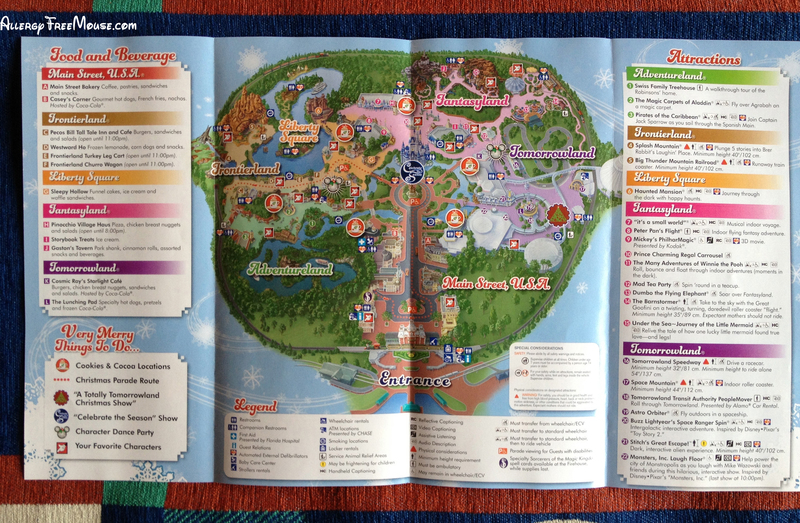 We’ve seen this on other websites, but decided to post a nice big, more legible copy. Click the thumbnail for a big version, about 2MB in size. 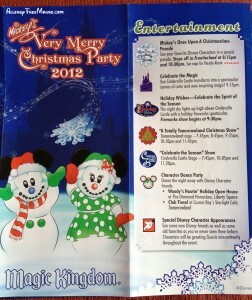 Here are the maps for the Christmas Party, too. Great for planning! 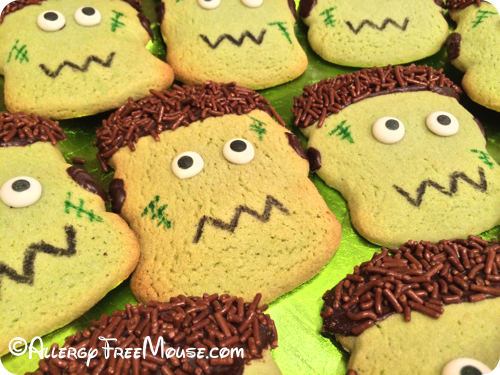 And free of the food allergens gluten, dairy, peanuts and tree nuts! 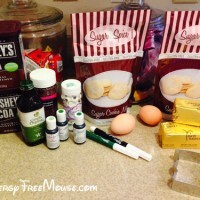 Sugar & Spice cookie mix, free of gluten, peanuts, tree nuts and dairy. 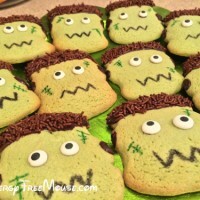 Food allergy free sprinkles, decorations and coloring. 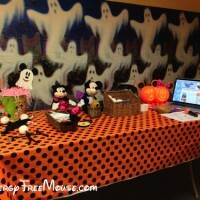 Also, we had a great time at the Food Allergy Kids of Atlanta’s Halloween Party, so we included a couple of photos from that. We’re going to start a new contest TODAY for the month of March! 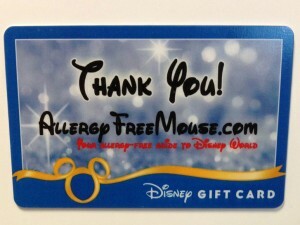 Send your Disney food allergy Quick Review using this form. 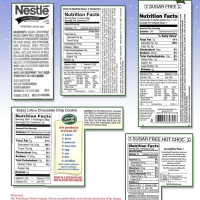 Please include as much detail as possible, including your food allergies, what you ate and who took care of you. We love photos, too! 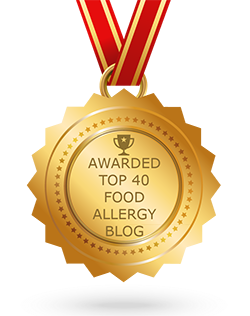 View some past food allergy quick reviews here, submitted by readers. It doesn’t take a lot of time to share your experience, but we typically don’t use the quick reviews we get that are just a sentence or two, saying “Disney is great!”. We really want a few details that help other readers make informed decisions for their planning purposes. Even if your experience was less than positive, send it to us. We all learn from those, too. Send us your quick review today! Drawing will occur in early April 2013.
p.s. Past winners can win again! 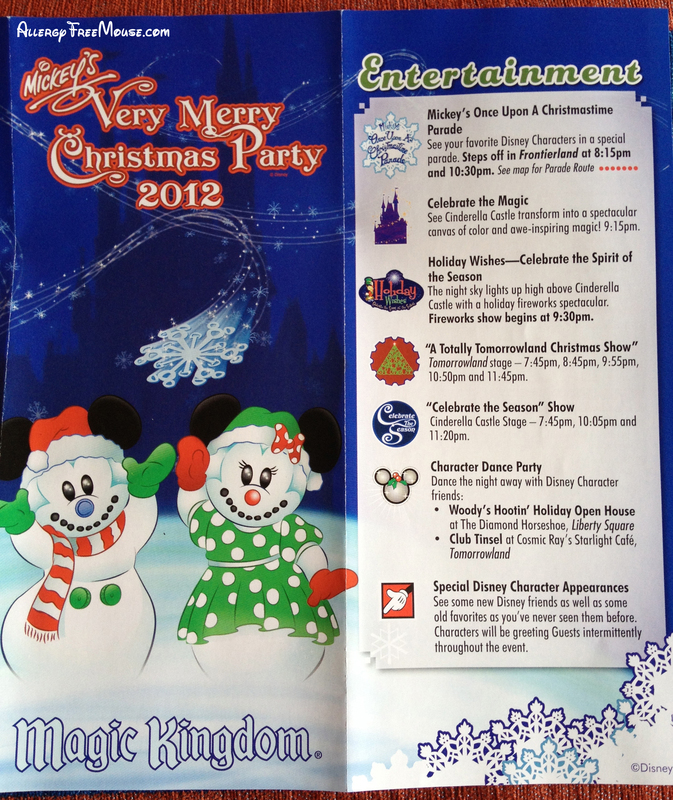 We’re about to head out for Mickey’s Very Merry Christmas Party! 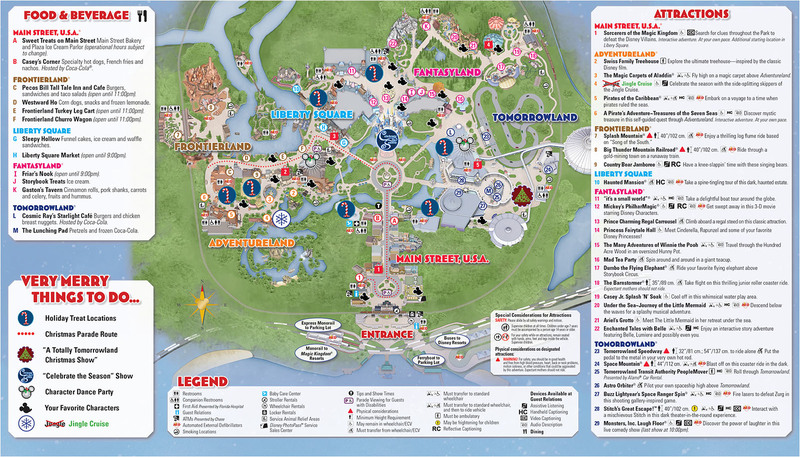 We grabbed a map the other day and thought we would share it. 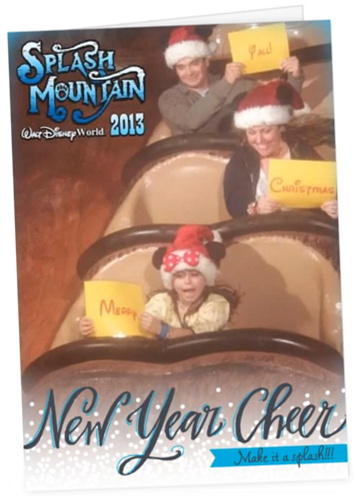 Fun and prizes at Disney World this week! 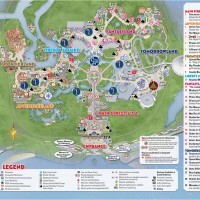 If you’re going to be at Disney World this week, and like to win stuff, watch this site! Or, if you know someone who will be there, pass this along. We’ll be at the World from December 14th through the 21st and, as usual, we’ll be playing Find the Mouse. We’ve been found on our last two trips, and it has been a blast. But that’s not all! 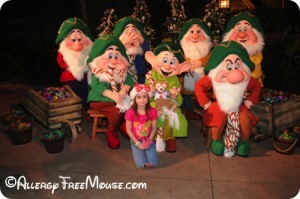 We’re kicking off in the Magic Kingdom on Friday and, on Saturday, at last, we’re co-hosting a food allergy free IllumiNations Dessert Party at Epcot, with the Gluten-Free and Dairy-Free at WDW Blog’s author, Sarah Norris. 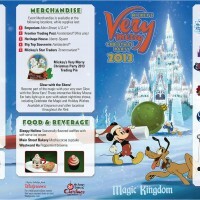 We’re also going to give away a special “item” in the Magic Kingdom. If you don’t have reservations at the new Be Our Guest restaurant, stay tuned! More details and our daily agenda will be posted soon. We’ll also be posting locations via Facebook and Twitter.